There are few kids who don't see the appeal in building and smashing piles of sand. But when such destruction results in real-time changes to a topographic map filled with lakes of virtual water, it becomes something more than just play. It becomes science. 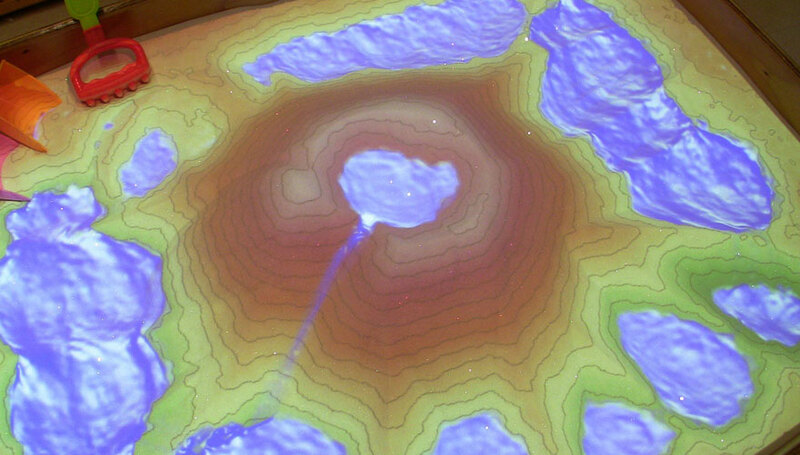 The Augmented Reality Sandbox is an inspired invention that takes the visceral satisfaction of sculpting with sand and combines it with the wonder of scientific discovery. Built using a Microsoft Kinect 3D camera, a projector, and two freely distributed VR applications, the AR Sandbox transforms a box of sand into a water-filled landscape that responds to changes in topography with accurate fluid dynamics. As users play in the sandbox — sculpting, smashing and digging to their hearts' content — the Kinect camera reads the changes in the sand and the VR software computes and projects those changes in real time as a topographic map and a virtual body of water overlaying the sand. Developed by UC Davis scientists Oliver Kreylos, Burak Yikilmaz and Peter Gold as part of an NSF-funded project on lake and watershed science education, the AR Sandbox project provides detailed instructions for educators and researchers to construct their own sandboxes. In fact, in the short time since the AR Sandbox project went public, Kreylos and his team have been made aware of more than a dozen sandboxes that have been built at various schools and museums all over the world. State University of New York at Geneseo is one of the latest additions to the list of educational institutions which own AR Sandboxes. Associate Professor of Geology Dr. Scott Giorgis caught wind of the project from a former student, who had seen a video about it on YouTube. A six-minute clip demonstrating the sandbox was all it took to convince Giorgis of its value as a teaching tool. Within days, Giorgis and his tech-savvy team (Instructional Support Specialist Nancy Mahlen and computing experts Kirk Anne, Clint Cross and Joe Dolce) were poring over Kreylos' instructions and downloading the required software. In no time, the SUNY Geneseo basement was the proud host of a newly-constructed, fully functional AR Sandbox. An AR Sandbox in action. Photo: Oliver Kreylos. 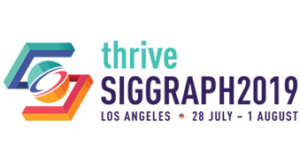 According to Giorgis, the potential for the AR Sandbox is enormous. "We want to use the box in the introductory geology courses to teach how to read and interpret topographic maps," he explained, "but we also think it can be used to visualize how groundwater pollution flows down the water table — for example, if an underground gasoline storage tank at a gas station leaks… where will the gas flow to? Who needs to be worried about their well water? You can look at the AR Sandbox and see the answer. It's beautiful." In addition to using the sandbox to gain insight into environmental issues, Giorgis envisions applications for teaching about structural geology. "Kirk and I want to modify Kreylos’ code to incorporate geologic planes," he said. "Faults, for example. Where a fault crops out on the surface of the earth depends on the orientation of the fault and the topography. We want to use the AR sandbox to allow students to dynamically change the topography and see how that effects the position of the fault on the surface of the earth." The applications for the AR Sandbox's innovative technology seem to be near limitless. Though education and research are the intended applications for the project, it could also be modified for use as an art installation — or even for art therapy. Real-time, virtual feedback on interactions with the physical world is at the forefront of emerging AR technology — and the potential for integration with cutting-edge computer graphics is huge. For more information on the AR Sandbox project, visit Oliver Kreylos' website.